What: Flat Elder (derived from Dale Hubert’s Flat Stanley Project) is an endeavor created by SWD Founder, P.K. Beville, to remind society that our elders, like people of every age, enjoy the simple pleasures of life. Describe YOUR perfect day! How: Print out the Flat Elder image or supply your own photo of an elder loved one. 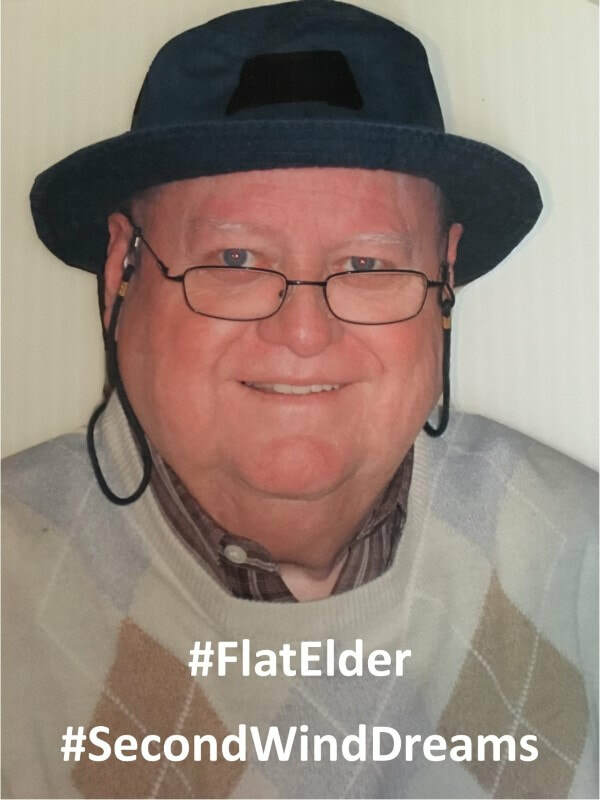 Take Flat Elder on your daily adventures and capture a photo to share with others on social media using the hashtags: #FlatElder #SecondWindDreams. You may also send Flat Elder images with caption/brief description to amy@secondwind.org. We will be sharing photos on twitter and facebook. Who: Our image of Flat Elder is none other than P.K. Beville’s beloved dad, Herschel Stalvey. Born in 1927, Mr. Stalvey is a child of the depression and served in the Navy during WWII. He is a longtime supporter of Second Wind Dreams and has been known to volunteer his time and stories delighting those around him. Every Saturday, to this day, Mr. Stalvey enjoys nothing more than a nice cold beer with his daughter. Why: Our elders are OUR future. As we grow older, we do not lose our hopes and dreams. We do not lose the ability to love, feel, and enjoy life. Our elders like to shop, golf, travel, garden, cook, and more. What are your hobbies? What are your favorite activities? Can you imagine a day without the simple pleasures that bring such joy to your life? Elders should be everywhere life happens! Help us spread awareness and remind society that those living in elder care communities should not be forgotten. Help us bring volunteers, dream fulfillments, special activities, and support into our nursing homes. Help us brighten an elder’s day.